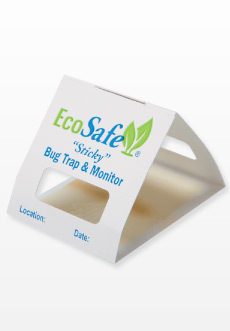 EcoSafe "Sticky" Bug Trap & Monitors capture bugs and insects such as spiders, cockroaches, bedbugs, crickets, earwigs, centipedes, and many others withou using toxic poisons. Simply place traps in areas where bugs hide and check them every few weeks. With EcoSafe Traps, you can control pests without harming your indoor air!